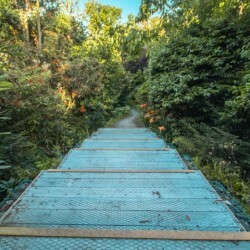 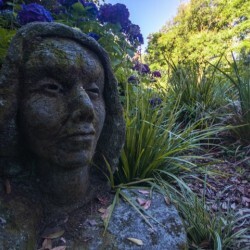 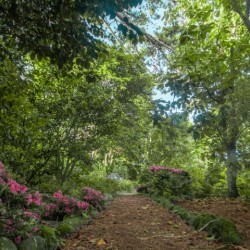 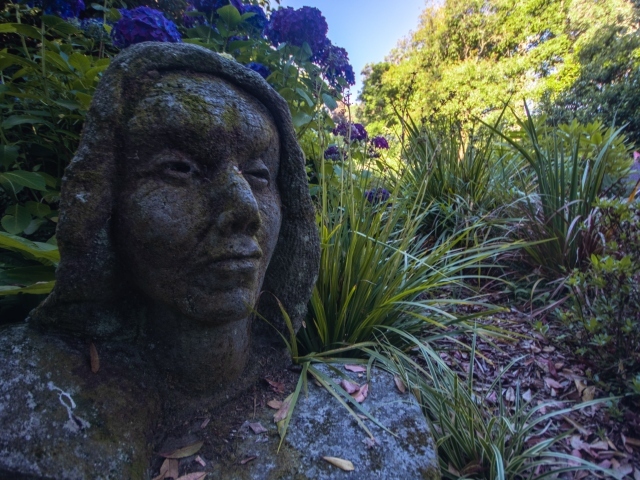 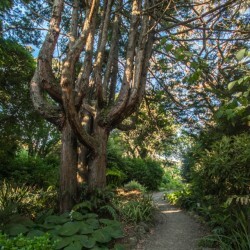 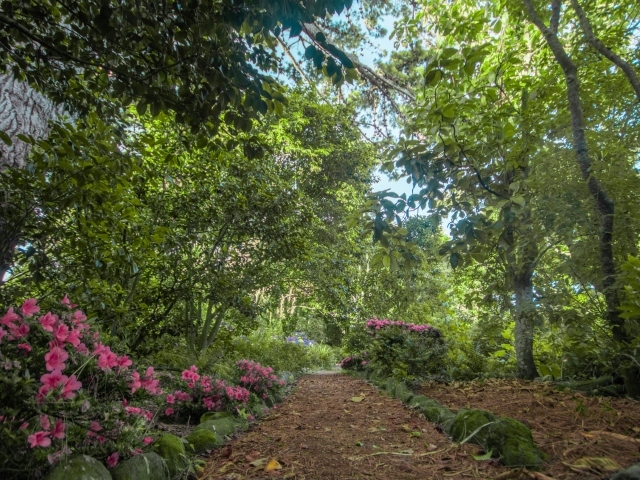 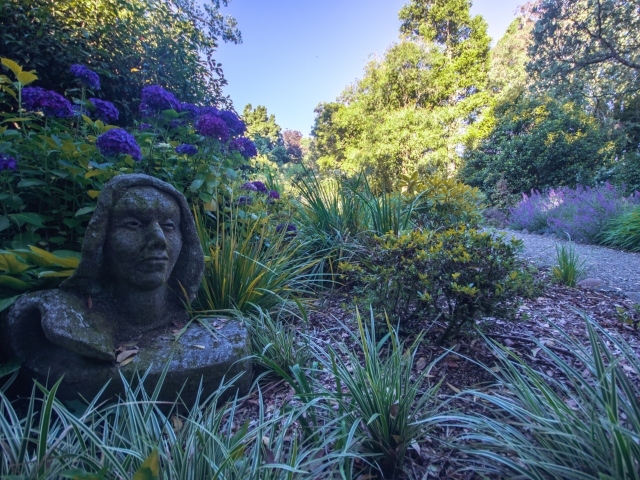 There is something just a little bit magical about Hollard Gardens in Kaponga, just 15 minutes from Stratford, Taranaki. 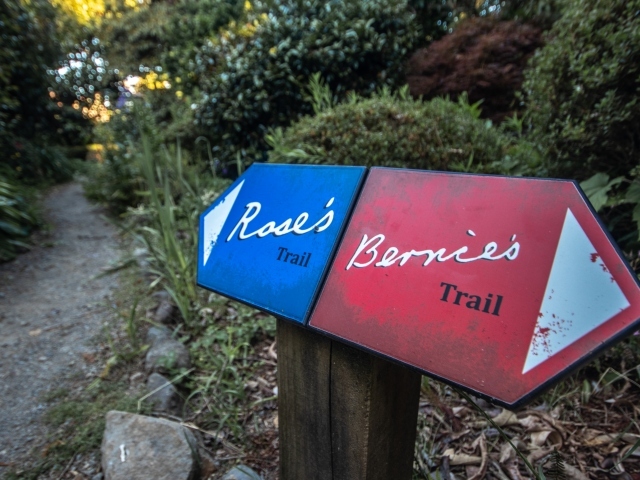 The concept of the gardens first began in 1927, and was grown with love by Bernie and Rose Hollard, local dairy farmers and passionate plant collectors. 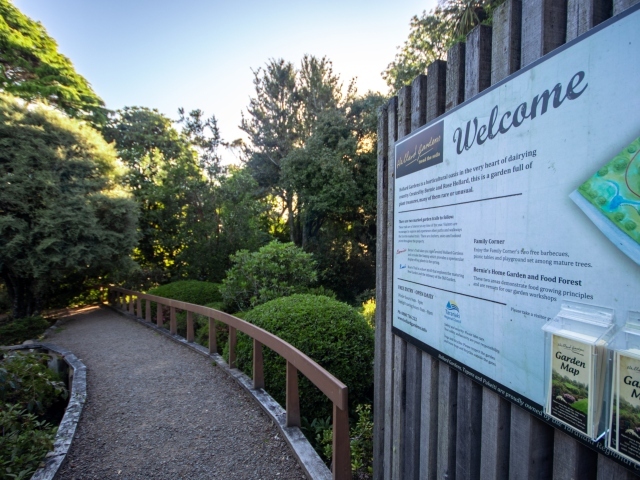 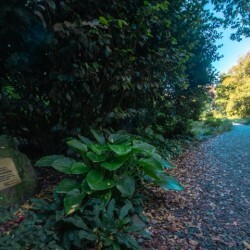 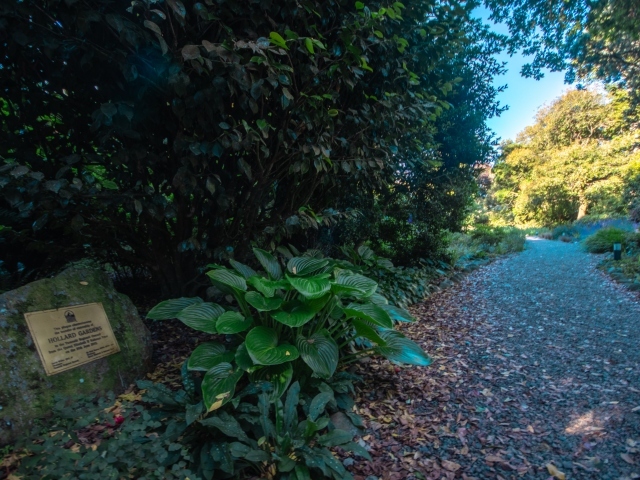 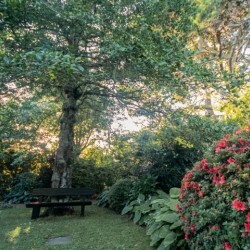 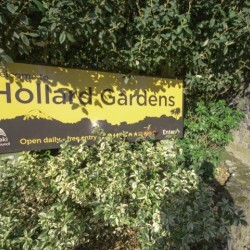 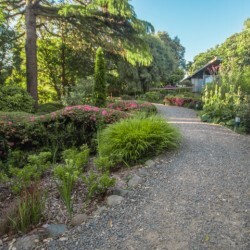 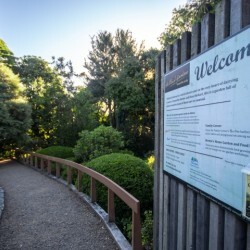 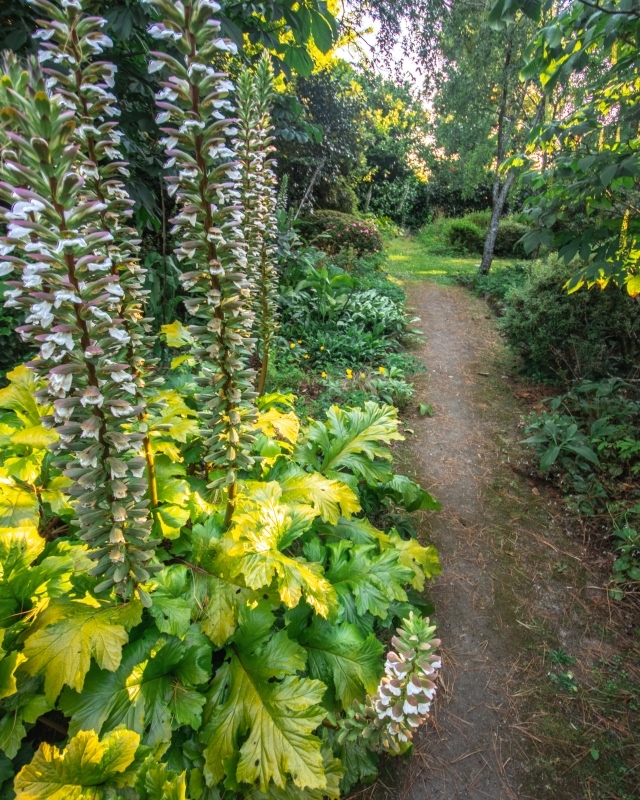 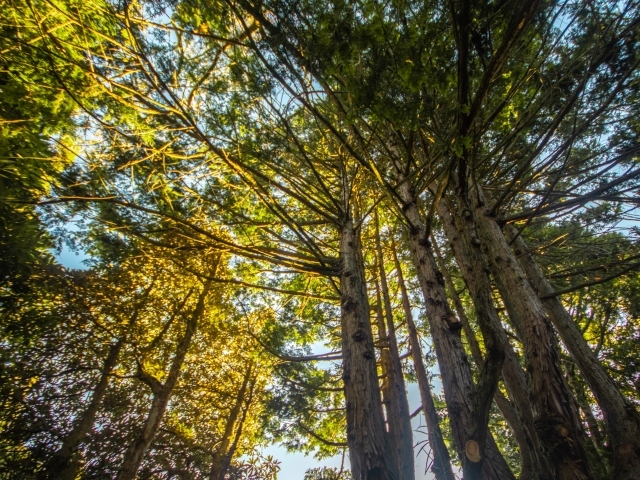 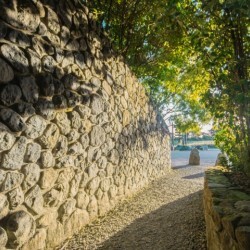 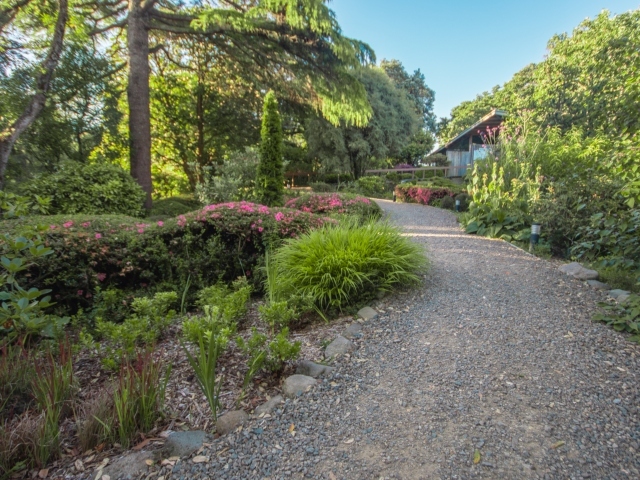 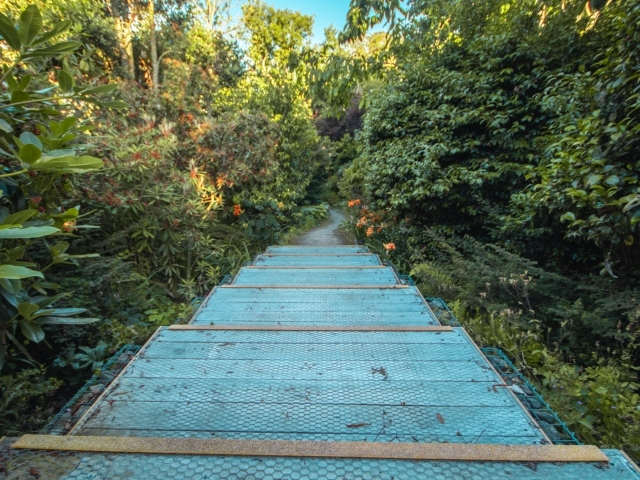 Over the years Hollard Gardens has expanded, and the four hectare garden is now owned and managed by the Taranaki Regional Council, on behalf of the people of the region. 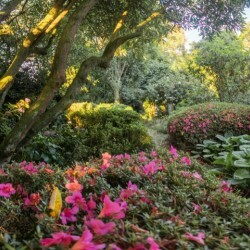 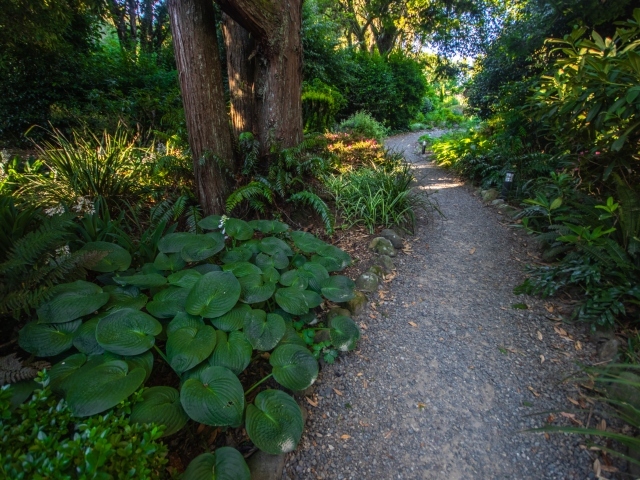 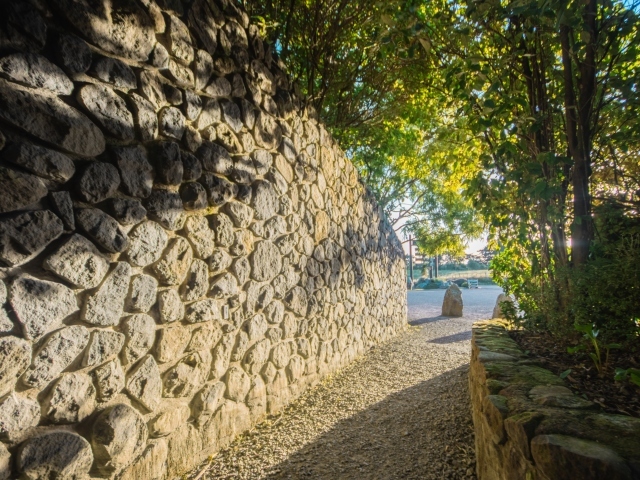 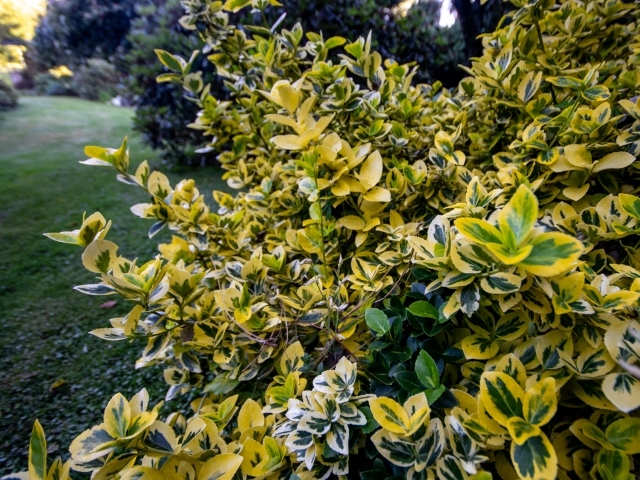 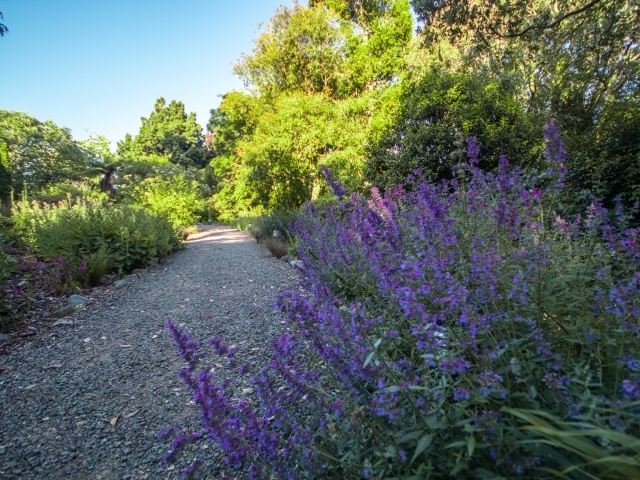 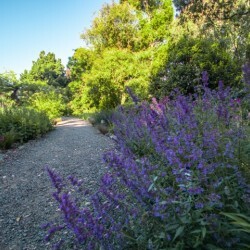 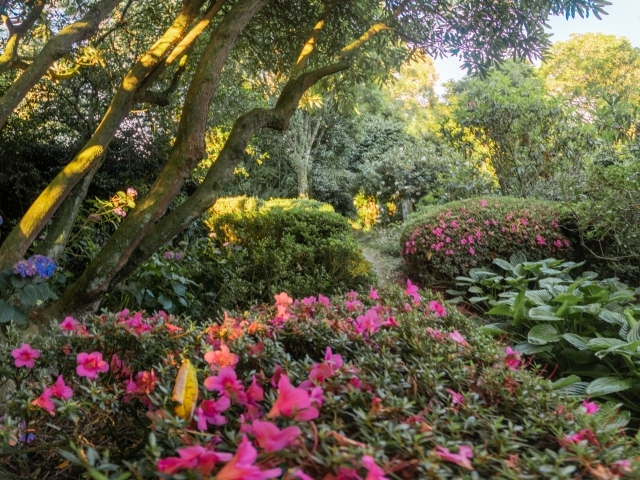 The enchanting feel of Hollard Gardens comes from the winding paths that guide you on your adventure. 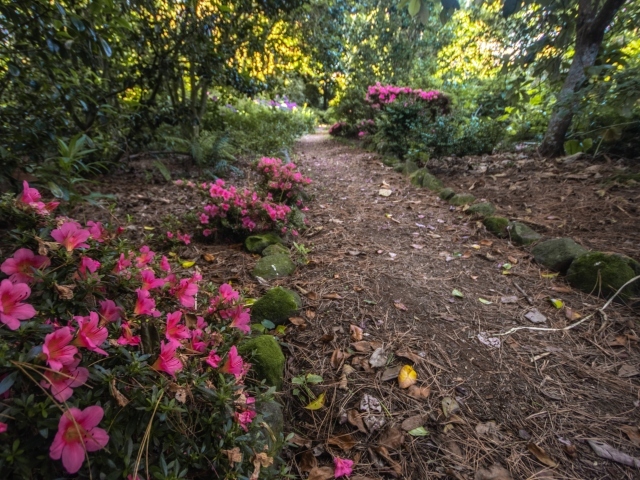 You’ll be spoilt for choice for paths to follow, keep an eye out for the hidden ones. 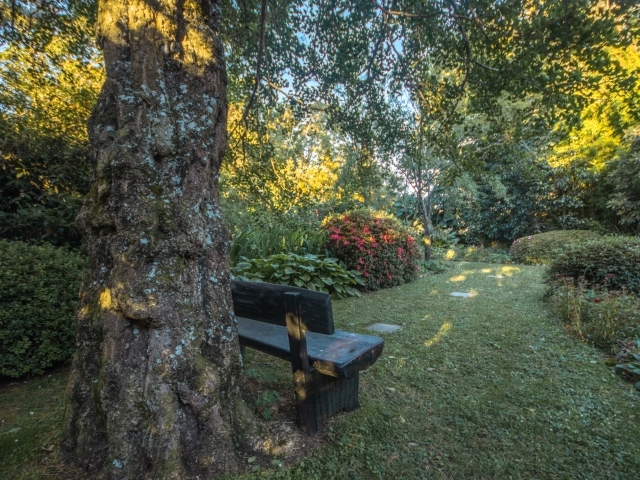 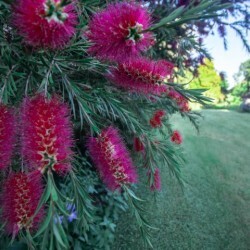 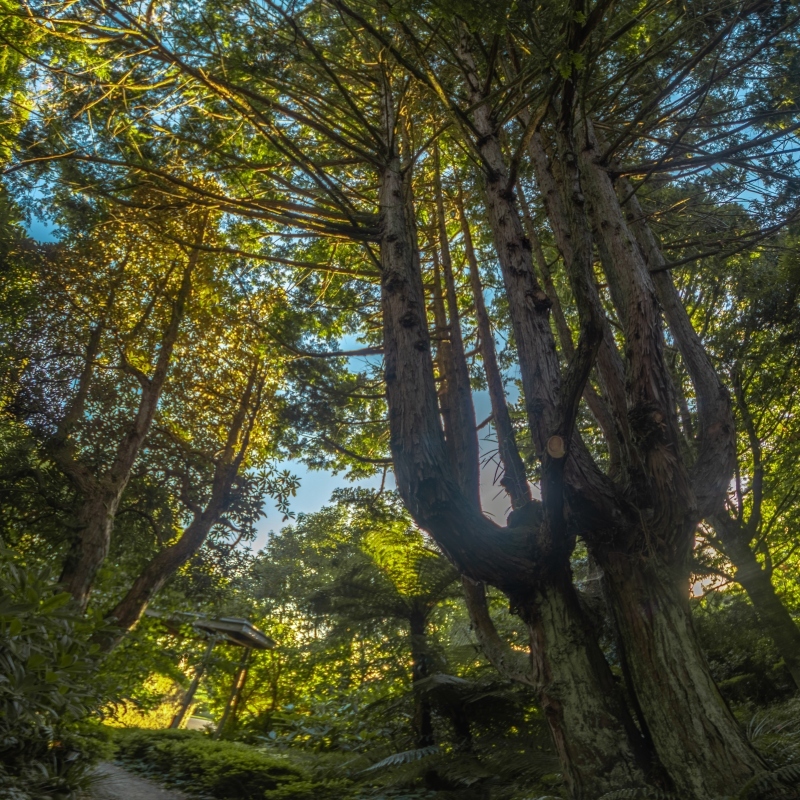 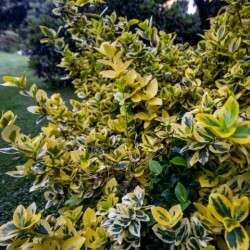 Surrounded by a variety of exotic and native plants (some of which are rare and endangered) the woodlands of Hollard Gardens make you feel you’re in a forest, straight out of a story book. 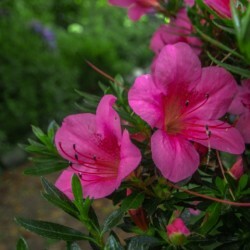 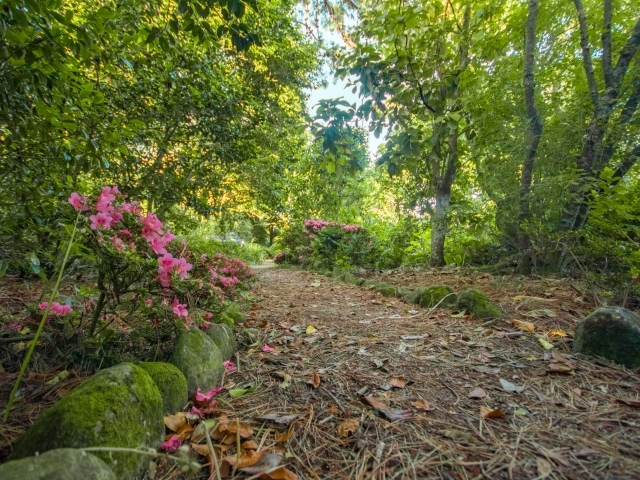 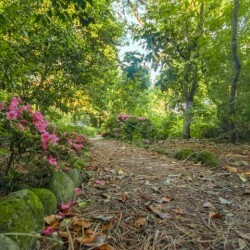 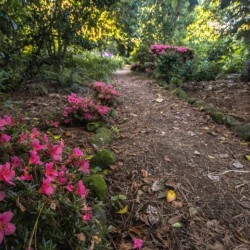 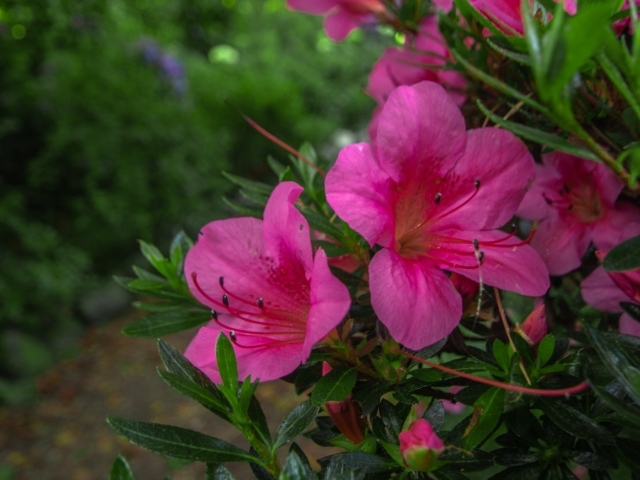 Rhododendrons and camellias were some of Bernie’s favourite plants. 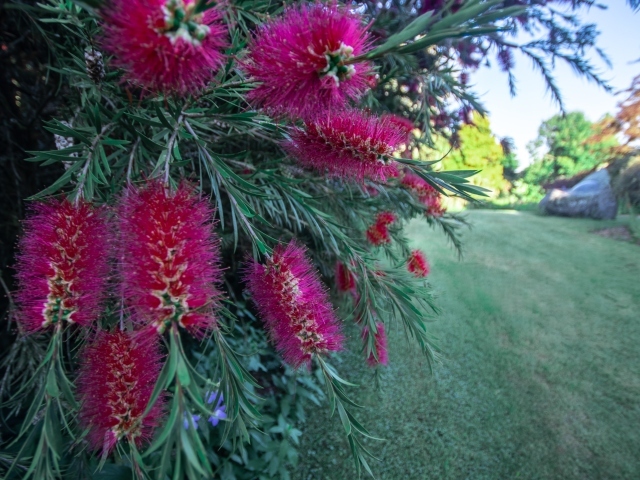 The colours and vibrancy these give to the gardens in Spring is exceptional. 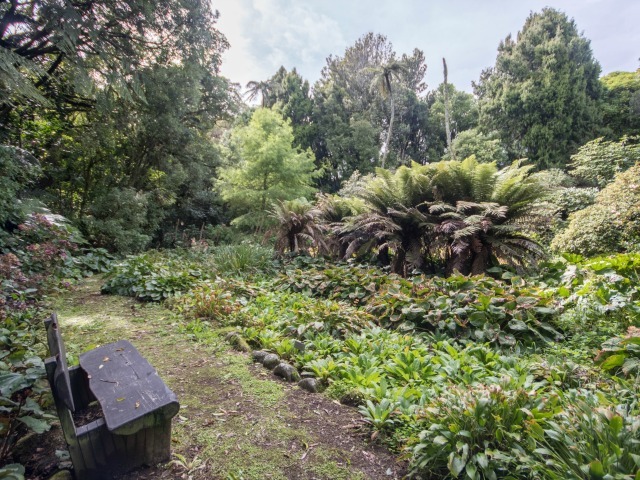 Whether you’re a keen gardener or not, everyone will enjoy this adventure, all you need is an appreciation for beautiful surroundings. 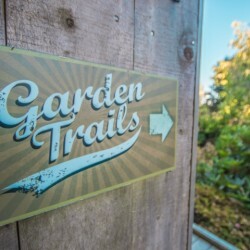 There are two main trails to follow. 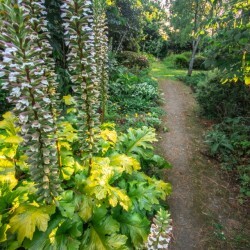 Bernie’s Trail takes you right around the gardens and includes the swamp which displays magnificent bog plants in the Spring. 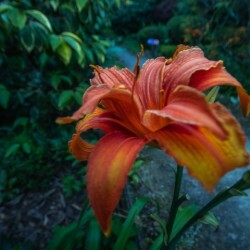 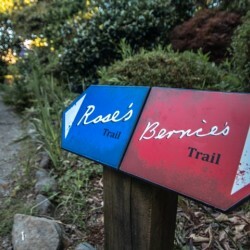 The other is Rose’s Trail, a short stroll that explores the maturing new garden along with the intimacy of the old garden. 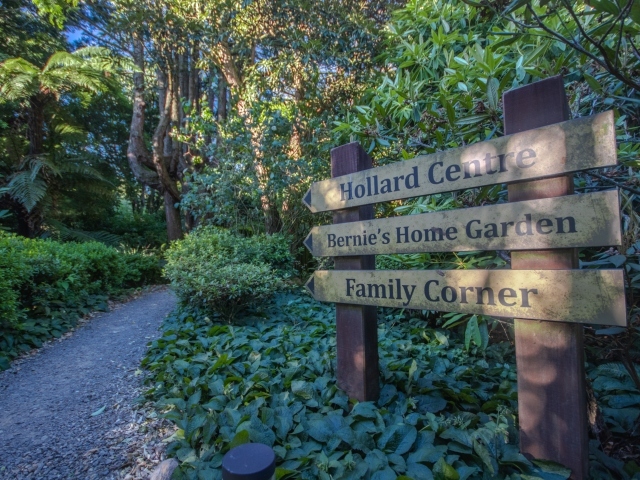 Stop at the Hollard Centre when you arrive for a complimentary tea or coffee. 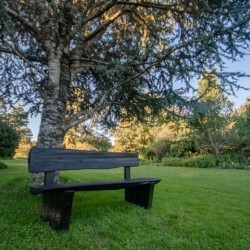 Learn about the history of the Hollard Gardens , browse in the garden library, or simply put your feet up and relax. 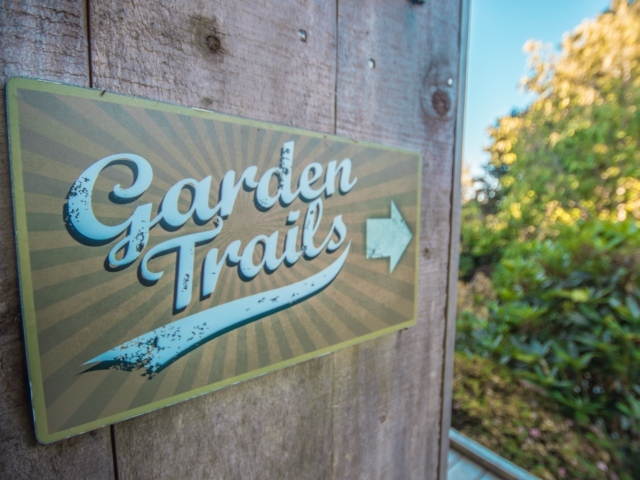 In Bernie’s Home Garden you’ll have the chance to learn different methods for growing food. 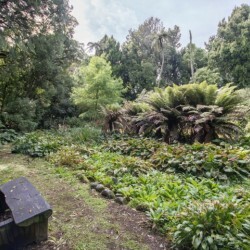 Complete with vegetable gardens, herbs, chooks, beehives, compost and worm farms, there are even public home gardening workshops that are run from this garden. 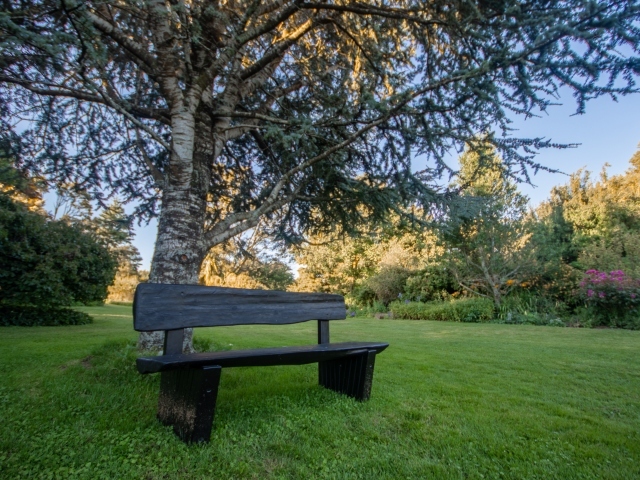 There are plenty of crisp green lawn spaces for a picnic or a game with the kids. 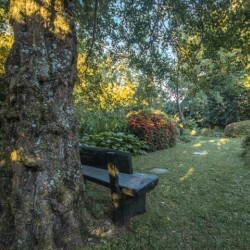 If you are visiting with children, they will adore the family corner. 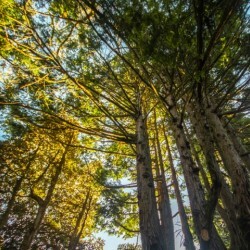 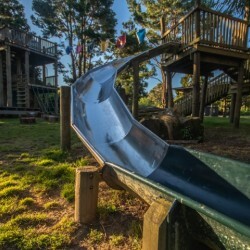 The playground is dreamlike in a forest setting. 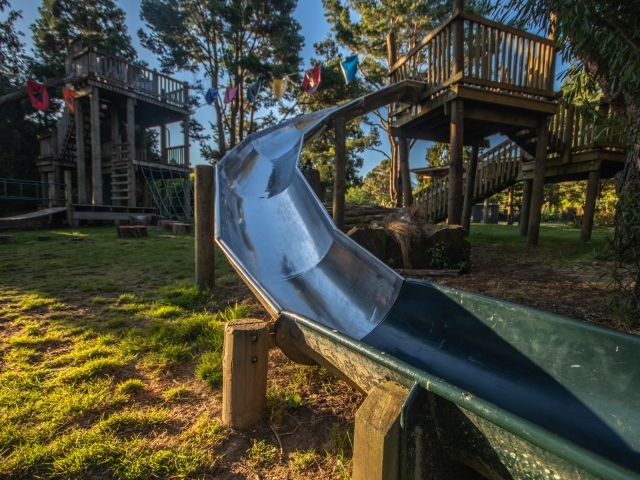 This is not your average playground. 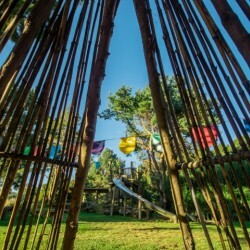 It includes a teepee, toadstools jumps, a wobbly bridge, giant's chair and an adventure playground, just to name a few. 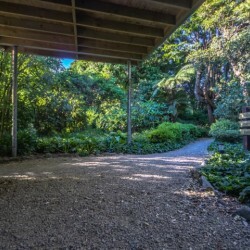 A gazebo and free gas barbeque makes it the perfect spot for a lunch or dinner get together. 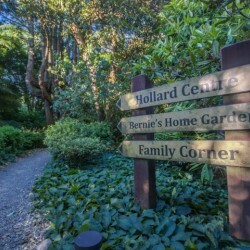 Hollard Gardens are something very special. 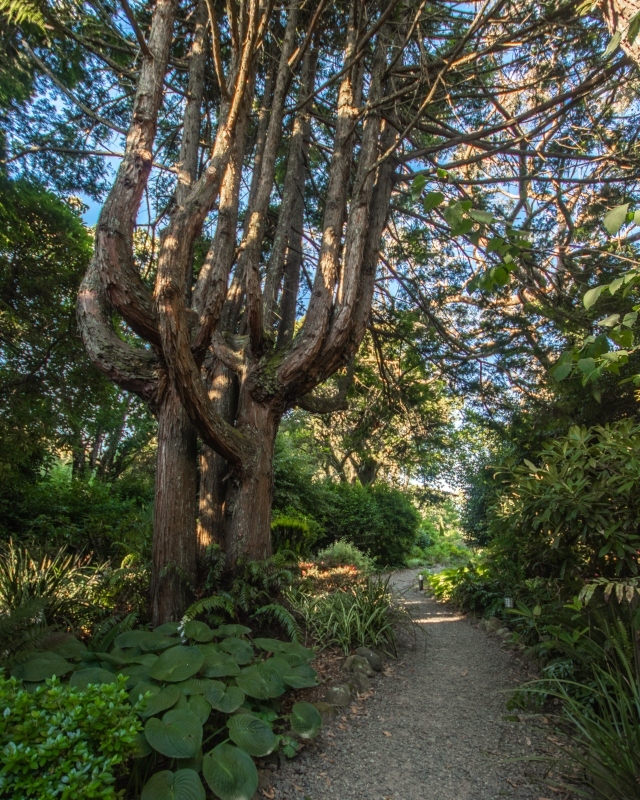 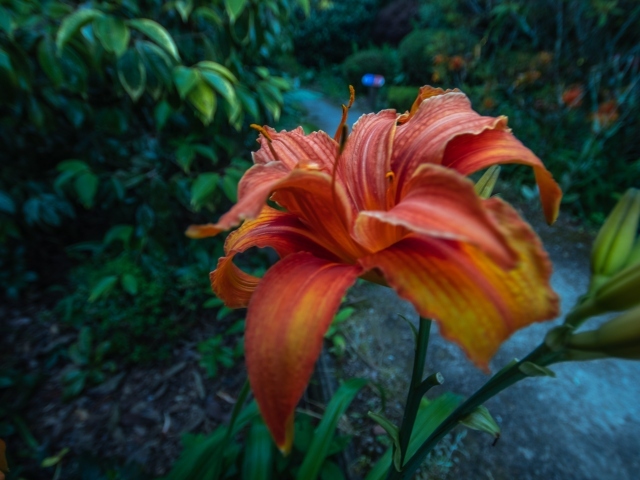 If you are visiting Taranaki, there is no going past this charismatic garden. 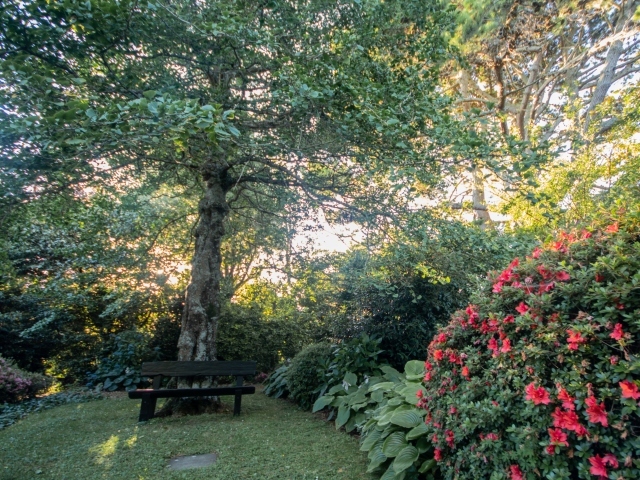 With gorgeous views of Mt Taranaki and plenty of space to explore, you haven’t seen a garden quite like it before. 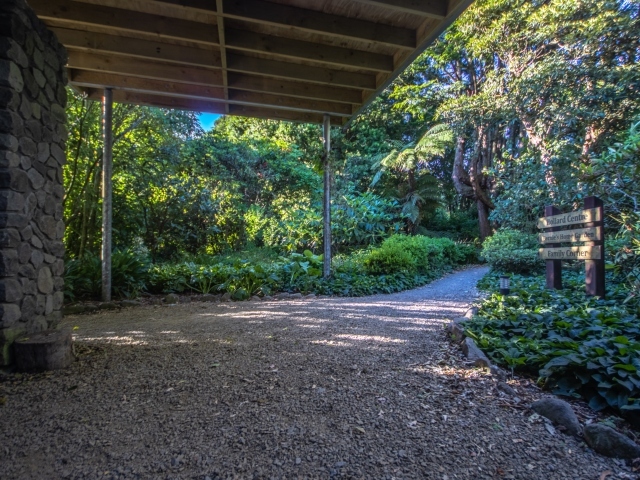 The carpark at 1686 Upper Manaia Road, Kaponga has plenty of free parking. 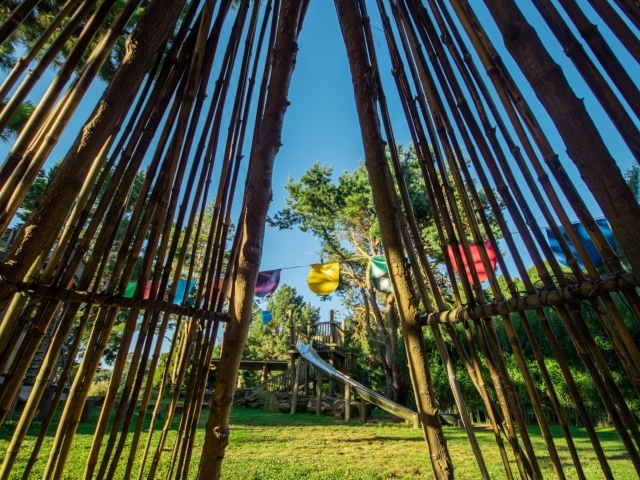 You can even park up your campervan in the car park and stay the night for free. 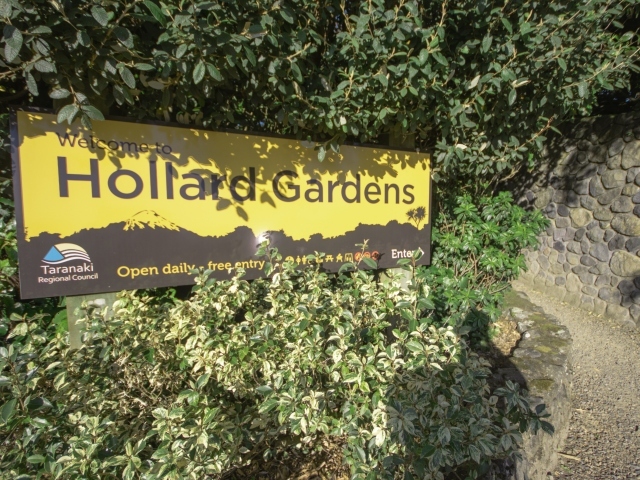 Open daily - 9 am to 8 pm daylight saving hours, 9 am to 5 pm winter hours. 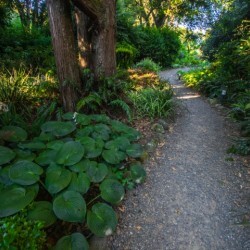 Yes, they are wheelchair accessible, the paths are very sturdy and people can stroll the gardens at their own pace.